Of course, we Travel Tripsters can't go home empty handed so we asked our trike driver Jeremy to bring us to a pasalubong center. 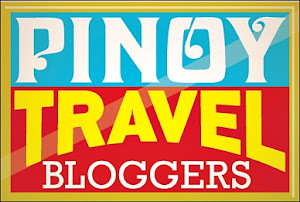 I mentioned Tiangge Tiangge Pasalubong and Souvenir Center which I've read from other blogs. Jeremy told us that was no longer operational as all the vendors have moved to LRC 908 Market Mall located at Puerto Princesa North Road. We went there a little before 8 am so the stalls are just about to open. Then, one-by-one they opened. We also saw Bodato Burgers there which we've tried at the Market! Market! Mall in Manila. Aside from the visible numerous stalls, there is a big air-conditioned indoor area with pearl jewelries displayed. There were other souvenirs too. Our favorite part is the local delicacies. We noticed that not all of them are made from Puerto Princesa so others are very expensive like the Durian Chips we bought which was imported from Davao City. The Cashew Nuts were sold a a bargain so we bought those too. The products so at the stalls outside were cheaper. But, prices are almost standard that we could hardly haggle. 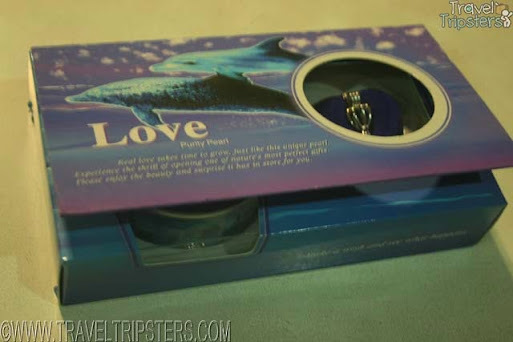 Fellow Travel Tripster Kurt bought me a canned pearl just for fun. Prepare for a weird smell perhaps due to the alcohol containing liquid. You get a shell inside. And, if you open it, you get your pearl. There's a superstitious meaning to it according to the box. 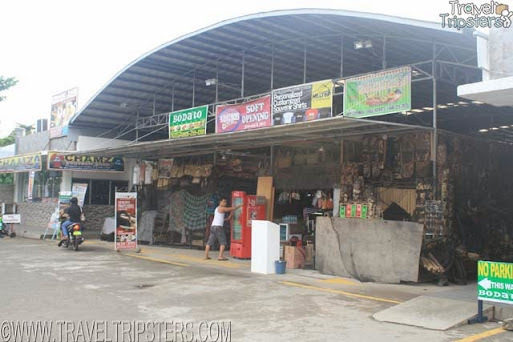 Overall, we Travel Tripsters recommend that you stopover at LRC 908 Market Mall for pasalubongs (souvenirs). We didn't see any other place offering that amount of merchandise for tourists. There's the San Jose Market as an alternative if you want to buy food at local rate.